After college, Hugh moved back to Vermont, with a laser-focused goal of making the Olympic team. He was competing in ski races on the weekends and training during the week. Walter Pichler, a ski coach from Germany, volunteered to mentor him, “During that time, about 70 percent of the training was running.” It was a busy time – training six days a week, often twice a day, and working as he chased his dream. In 2002, his journey ended in Utah at the last qualifying event for the Olympic Winter Games. His times hadn’t been fast enough, “In the end, with the amount I was putting into it, I wasn’t getting the performance that I wanted.” He had no regrets and had met incredible people along the way, but was also feeling burned out. Just a few months later, he married Julie, his high school sweetheart. Over the next couple years, Hugh and Julie welcomed a daughter and son into their lives and moved to Washington, D.C. Everything was new – his growing family, new surroundings and a new career. Now retired from skiing and the arduous training that came with it, he had a thought that lingered in his mind from his old training days, “I felt like I did better, the longer the distance was. It gave me this idea that maybe it was something I should explore.” It turned out Hugh’s intuition was right – and ultrarunning was the perfect match. He has not stopped running since. Early on, he enjoyed 50ks and then bumped up to the 50-mile distance, making the Vermont 50 an annual tradition. A few years later, he was watching video clips of a little-known race held in Pittsfield, Vermont. “I saw the diabolical things that they were doing, to essentially try to break you and get you to drop out. I just thought that was the coolest thing.” He wanted to do more than watch, so Hugh signed up for his first Death Race. He competed in many summer and winter versions of the event, recalling memories of running an overnight 50k, barefoot in his underwear, as well as sub-zero nighttime temperatures, sitting in a river after standing in a barn for two hours, experiencing sensory deprivation while wearing an eye patch and headphones. Hugh’s races have taken him all over the world. 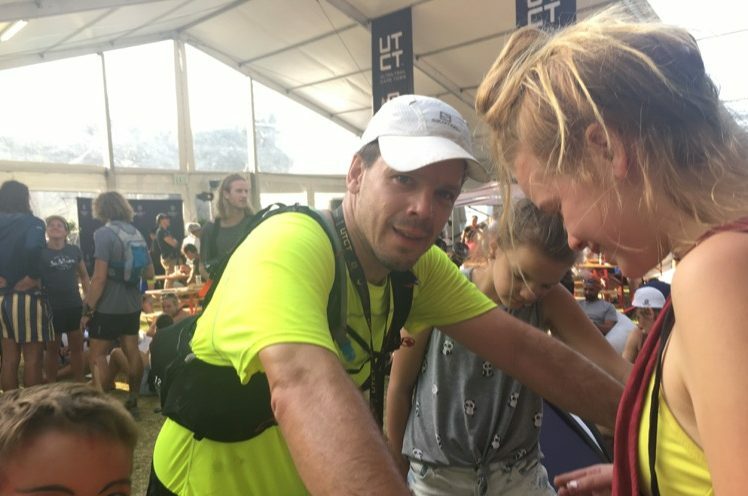 In 2018, he finished Ultra Trail Mount Blanc (UTMB) in France in just over 43 hours after completing both the Cruel Jewel and Vermont 100. He topped off the year with a 50k race in South Africa, competing alongside his daughter. Looking forward to 2019, Hugh has a few highlights on his racing calendar. 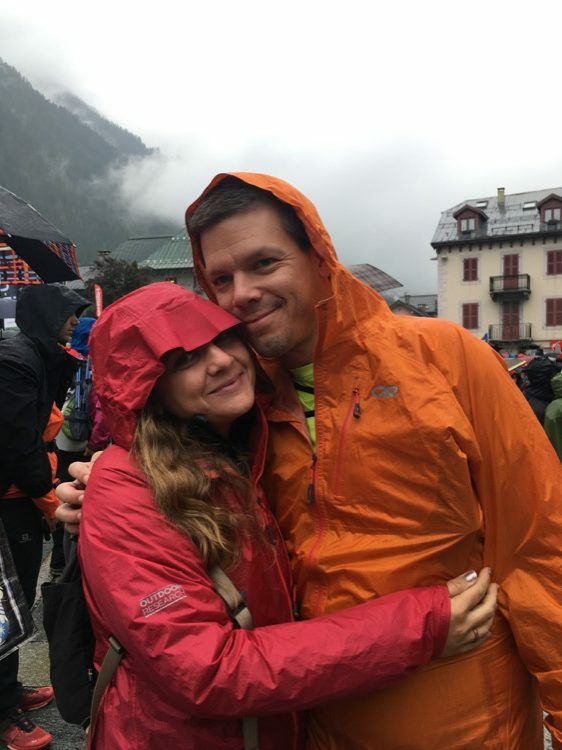 He has some unfinished business at the Ultra Tour Monte Rosa, in Northwest Italy, where he will run in the 100k, a race he had to drop from two years ago. In May, Hugh and his daughter will both compete in the Transvulcania Ultramarathon. One day, he hopes to share the trails with all four children. That’s quite a resume. I remember meeting Hugh during my first 50 miler. He has never looked back. Keep on running!